Description: This script allows an adwords manager to extract preselected client account performance snapshots inside your MCC account, you’ll be able to export account performance of each account you associate to this script on to a Google spreadsheet and allow you to review all account performance quickly. 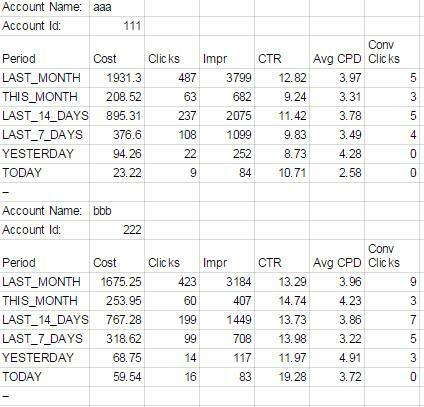 The account performance snap shot will show you each account’s cost, clicks, impressions, ctr, avgerage CPC and Converted Clicks. 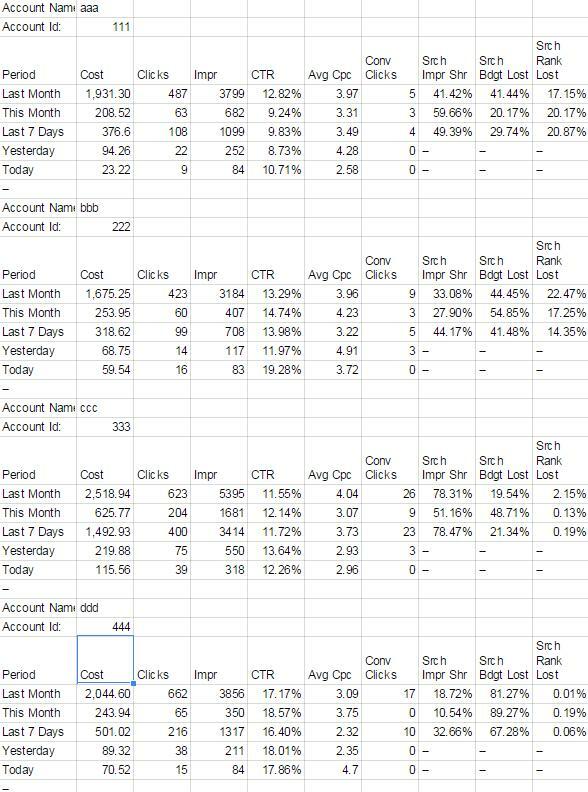 The account performance will include these time frames, LAST_MONTH, THIS_MONTH, LAST_14_DAYS, LAST_7_DAYS, YESTERDAY and TODAY. Here’s a sample of the output. To get Option 1 for free please visit this page. You can also create custom dates to compare. 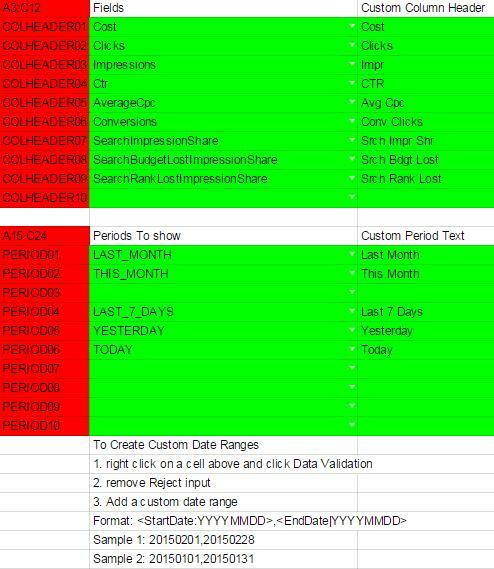 No point in spending hours every day or every week creating and running reports you can automate. Want a Free MCC AdWords Script?